ITV News, Meridian reported on The Scar Free Foundation, with Foundation Ambassador Dan Jackson and Research Council member Mr Baljit Dheansa discussing the importance of our ambition. 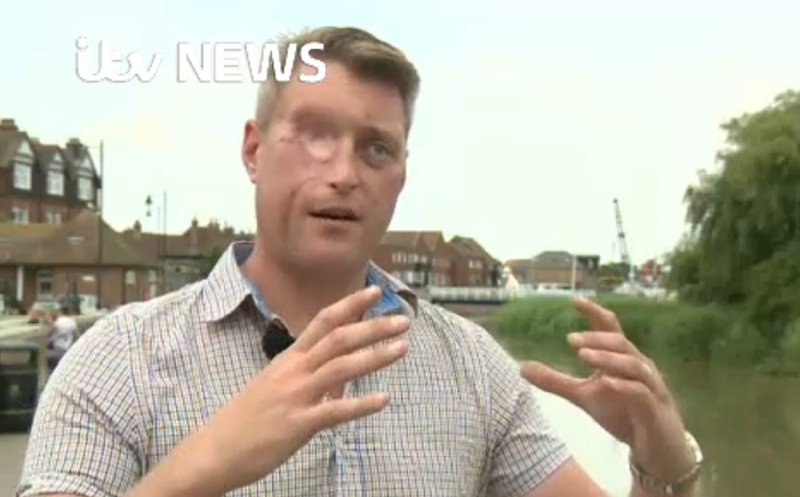 ITV News, Granada presented an interview with Scar Free Foundation Ambassador, Harry Fitzpatrick. Foundation Supported researcher, Dr Adam Reid, from the University of Manchester was also interviewed. The London Evening Standard informed readers on the launch of the Strategy, highlighting the fundraising drive that is required. The Brighton Argus included coverage of Scar Free Foundation Ambassador, India Gale’s courageous speech at the publication event. Get West London reported on Scar Free Foundation Ambassador Lottie Pollak, who emphasised the need for scar free healing, highlighting the soaring costs associated with hard-to-heal wounds and the impact scars can have on daily function. A few hours later, BBC Radio Scotland, spoke to Scar Free Foundation Ambassador Lottie Pollak on the story behind the scars that she has to wear every day – and why The Scar Free Foundation’s ambitious strategy lies close to her heart. BBC Radio Wales interviewed leading plastic surgeon and regenerative medicine pioneer, Professor Iain Whitaker. The Huffington Post published an article from The Scar Free Foundation Ambassador, Pam Warren.